At Human Resource Management LLC, we pride ourselves on connecting employers with human resources solutions. We have an unparalleled track record in providing companies with employee benefits. 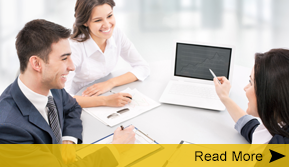 These solutions provide you with a program that gives your employees true retention incentives. Your employees' moral will improve and productivity will blossom when you rely on us. We specialize in providing HR management services to companies of all sizes. Count on us to keep you up to date on the latest legislation and regulations. Our human resources advisement team is constantly updated on the most recent changes from a variety of commissions. In addition, we excel in providing payroll services which are tailored to your company's specific needs. Contact us to request more information about our employer human resources solutions from Caldwell, Idaho. Depend on our team in Caldwell, Idaho, to provide your company with a wealth of employer human resources. 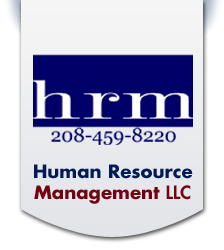 Human Resource Management LLC (HRM) builds upon more than 30 years of experience. We have utilized advanced technology, as well as the most powerful minds in the employee benefit world, in order to provide customized solutions to all of our clients. Our team is committed to providing the highest level of service and human resource knowledge in the industry. At the heart of our company is a team of professionals dedicated to each client’s needs and supported by our entire operation.